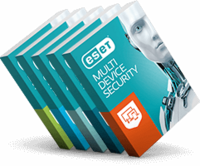 If you believe you have found a vulnerability in any ESET product or web application, please inform us confidentially. Every valid report will be rewarded. Our partnership with HackTrophy helps us to stay ahead of any potential problems. Let us know about any security issue on our website and claim your reward. Disclosure of known public or non-sensitive files or directories, (e.g. robots.txt,crossdomain.xml or any other policy files, wildcard presence/misconfiguration in these). Lack of Secure/HTTP Only/SameSite flags on non-sensitive Cookies.